We would highly recommend Jennifer and Canada by Design for all of your travel needs. We count ourselves very lucky that we found this 5-star team of travel experts! Day 5 Lake Louise to Banff Depart Lake Louise mid-morning for a short drive to Banff via the scenic Bow Valley. Day 6 Banff A free day to enjoy Canada’s premier winter resort. 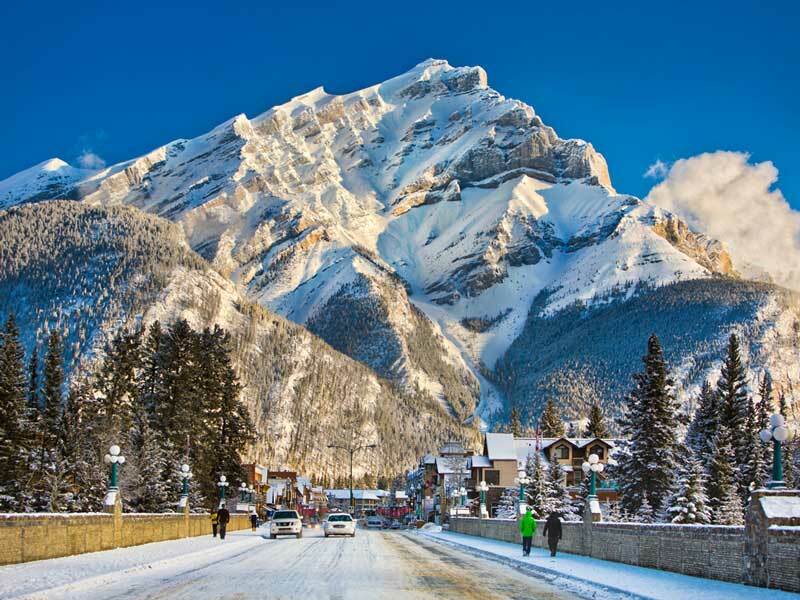 There are plenty of options, including: shopping , skiing or boarding in one of the 3 ski resorts in the area (not included) or visit the luxurious spa at the Fairmont Banff Springs Hotel (not included). 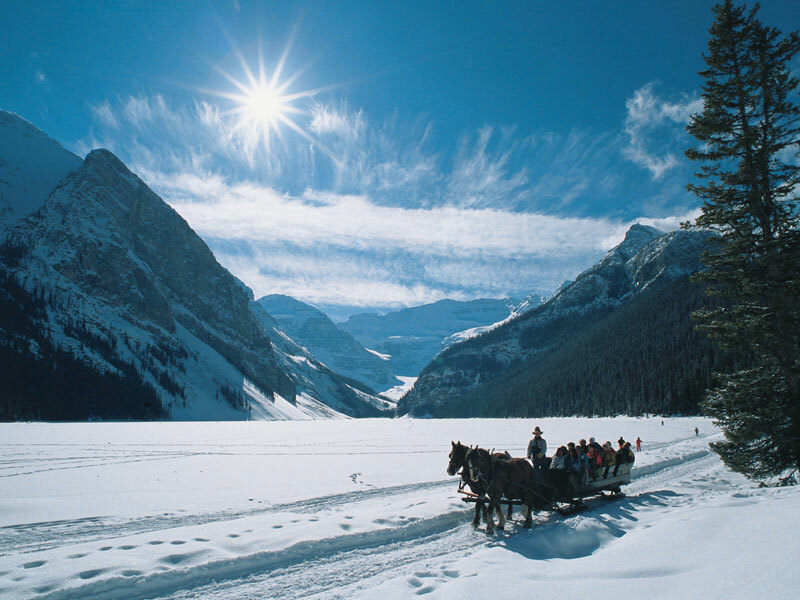 Day 7 Banff to Calgary This morning is free to explore Banff, before your scheduled coach to Calgary departs midday. 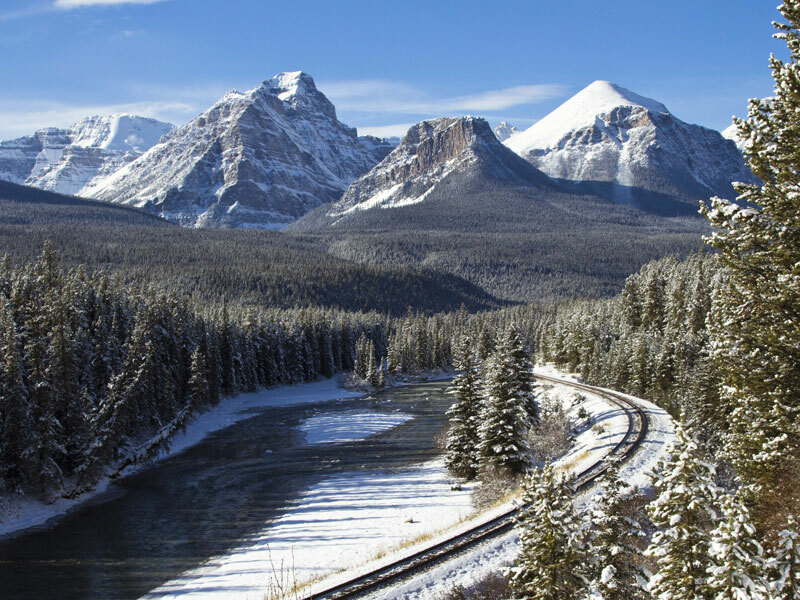 Following the Trans Canada Highway, depart the Rocky Mountains to the Great Central Plains that roll to the east for 2,000 km and extend as far south as Mexico. This is ‘cattle ranching country’ and the breadbasket of Canada. Arrive at Calgary Airport at 2.30pm or in downtown Calgary at 3.00pm. Day 1 Calgary to Banff Leave the Stampede City of Calgary on the express service to Banff where you have ample opportunity to take in the sights. Day 2 Banff A free day to enjoy Canada’s premier winter resort. 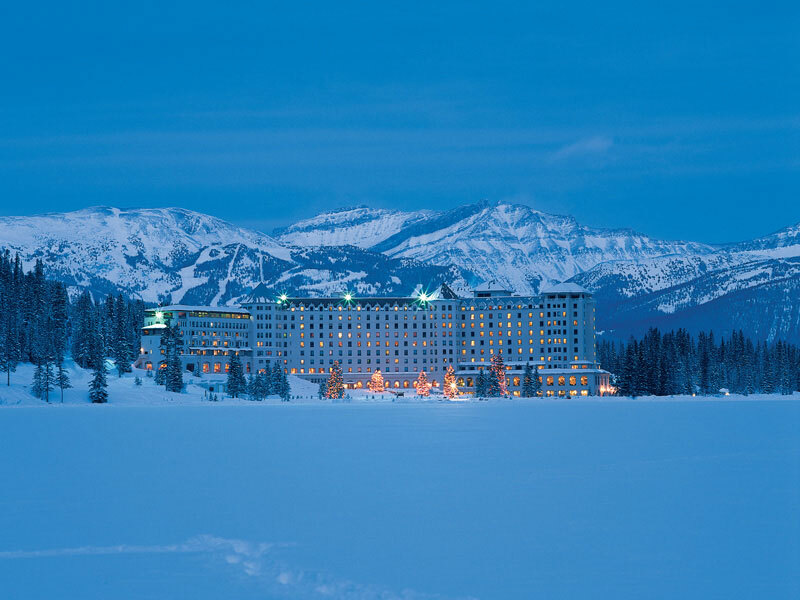 There are plenty of options, including: shopping , skiing or boarding in one of the 3 ski resorts in the area (not included) or visit the luxurious spa at the Fairmont Banff Springs Hotel (not included). 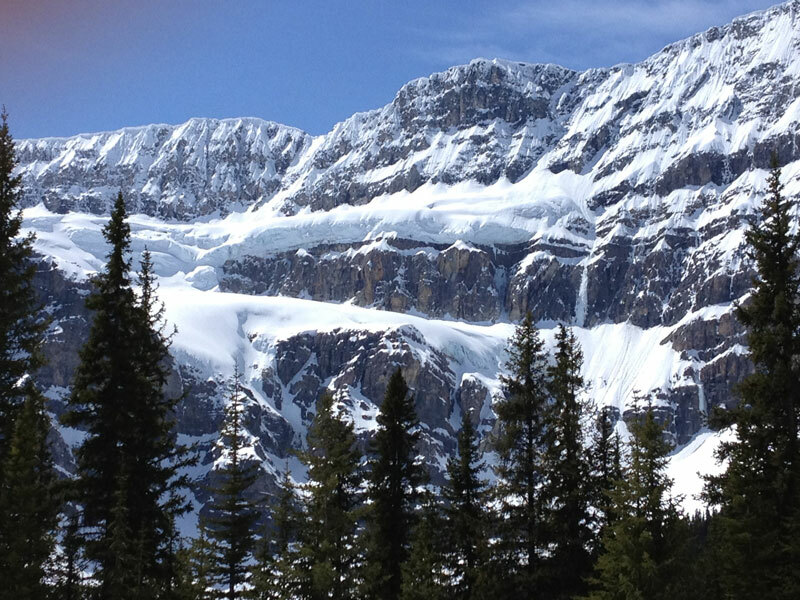 Day 4 Lake Louise to Jasper Travel northward along the Icefields Parkway to Jasper today. This spectacular drive through glacier country features massive snow covered mountains, frozen waterfalls and broad reaching valleys. 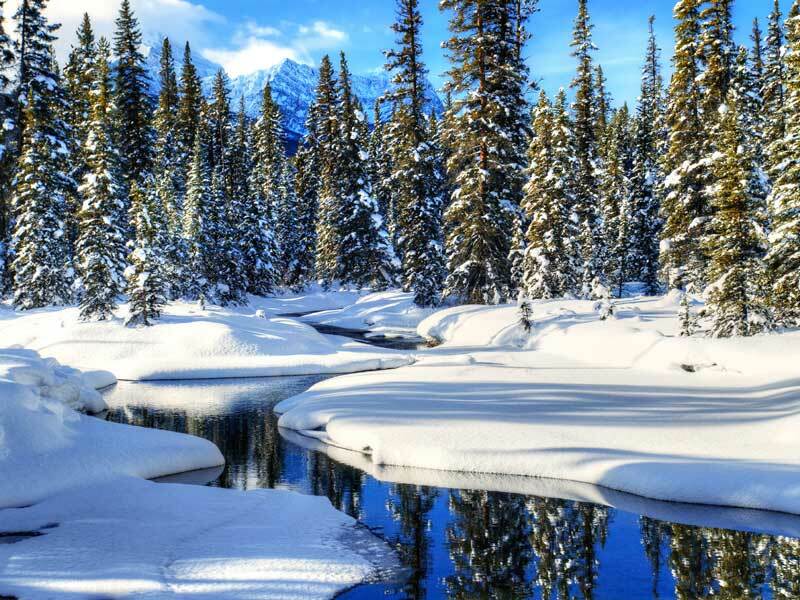 We had the most fabulous trip to our Winter Wonderland in the Canadian Rockies. Thank you so much for organizing all our travels and hotels. Highlights: the vintage train from Vancouver to Jasper! Via Rail Canadian needs better pictures to tout the awesome rail with it’s adorable public rooms, dinning car, glass roof cars and cozy cabins. I left the shade up all night and watched the world go by. We LOVED Canada and look forward to coming back and doing the same route in the spring or autumn. In fact we would even consider doing it again in winter as it was so stunningly beautiful. After booking the trip and advising the date we wanted, I was very impressed with Karen's professionalism and prompt service, nothing was too much trouble. When we requested things from her, all the information given to us was accurate and up to date. I don’t know how I will ever thank you all at Canada by Design for everything you did for us and making a trip of a life time surpass our wildest expectations! We chose Canada by Design in favor of a travel company in our own country, as we thought that the local experience would give us a better holiday. How right we were! 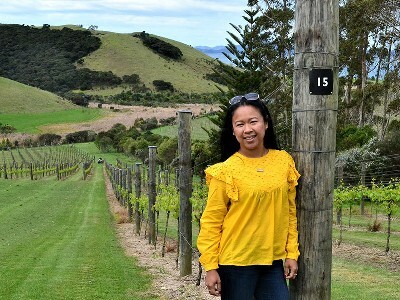 We also saved ourselves a lot of money, as Jennifer's quote was much less expensive than the quote we received in Australia. 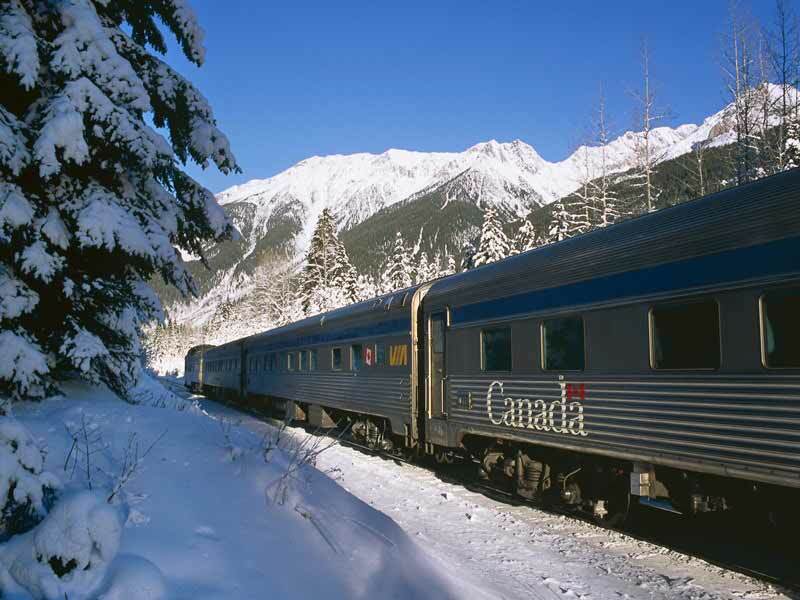 We liaised with Jennifer by email many months before our trip, to organize our once-in-a-lifetime Christmas Snow Train adventure from Vancouver through Jasper, Lake Louise, Banff and, finally, Calgary. Jennifer and her colleagues provided us with an excellent standard of service, always prompt, friendly and efficient. All accommodation was of a high quality, with The Fairmont Castle at Banff being outstanding. We felt like we were living in a fairy-tale with the amazing scenery that we encountered all along the way. When we first arrived in Vancouver, we headed directly to the Canada by Design office because we wanted to meet Jennifer in person. We were given a tour of the office and greeted by the whole team. Jennifer continued to work for us during this meeting, by offering suggestions for our time in Vancouver before our train departed. We would highly recommend Jennifer and Canada by Design for all of your travel needs. We count ourselves very lucky that we found this 5-star team of travel experts!